eD@HoMe: A lovely cover from Taiwan! Many thanks to Oliver for sending this lovely cover from Taiwan! 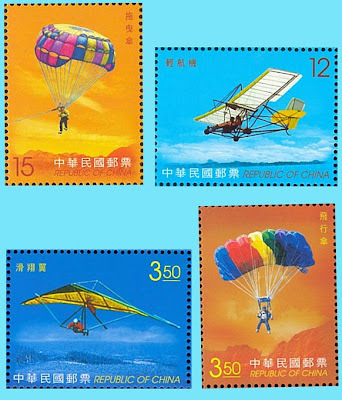 Franked on this cover are a set of 4 beautiful stamps from the "Outdoor Activities - Sport" series, issued in 2006. 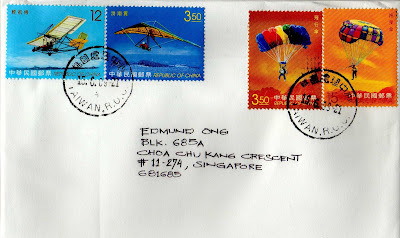 This cover was postmarked on 15th June 2009 in Taoyuan, Taiwan and took 3 days to travel an estimated distance of 3,223kms to reach me.